Samsung's Gear S3 Classic is about a year old now, but it's still Samsung's latest and greatest smartwatch and performs just fine even today. So if you were looking to snag one on the cheap, Daily Steals is offering Grade-A refurbished Verizon/unlocked Gear S3 Classic LTE units for just $239.99 with our exclusive code. 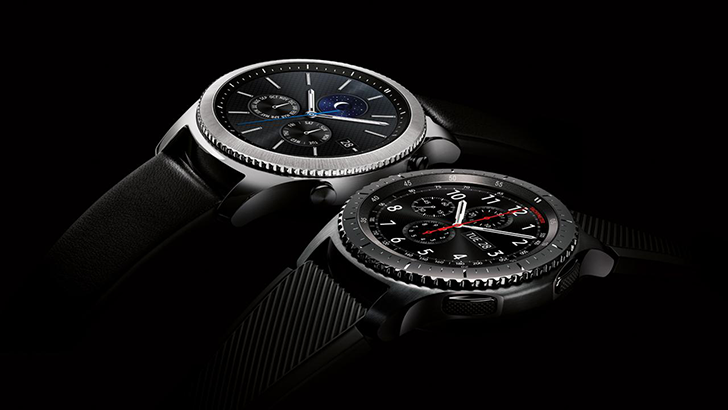 The Gear S3 Classic LTE sports a 1.3" 360p AMOLED display (with no flat tire), a dual-core Exynos 7270, 768MB of RAM, 4GB of storage, and a 380mAh battery. Its stainless steel casing features a nifty rotating bezel, wireless charging, and IP68 water resistance. Note that these are Verizon LTE models that are factory unlocked, so they're usable on any GSM carrier as well. Because these are Grade-A refurbished units, they should be in very good shape with minimal wear, if any. The watch comes with its wireless charging dock, a wall charger, a band, and a generic box. The wall charger and band are listed as generic units as well, though I kind of doubt it's a generic band. Use code APCLASSIC3 at checkout to get the extra $20 discount to $239.99. Shipping is free, and a 90-day warranty is included (2 or 3 year extended warranties can be purchased for an additional fee). Hit the source link below to grab one. AndroidPolice readers get priority support by emailing [email protected].